More than 50 distributors worldwide are hoping to carry Ouya when it launches. 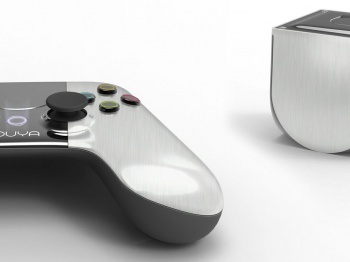 The massive Kickstarter success of the Android-based Ouya console has left gamers divided. Some are excited for the console's potential and comparably low price tag. Others have dismissed it as nothing more than a box that can play smartphone games on a television, with no real potential for greatness. No matter what your feelings on Ouya are, game developers are apparently excited about it. According to Ouya, it's been approached by over a thousand developers since its Kickstarter campaign ended. Ouya's Julie Uhrman also announced that more than 50 distributors "from all around the world" had applied to carry the console, though she didn't specify whether any big-name retailers were among them. The company has expanded its ranks, naming former IGN president Roy Bahat chairman of the board and hiring Steve Chamberlin of Trion and EA "to run our engineering." Additionally, Raffi Bagdasarian, formerly of Sony Pictures Television, will "lead software product, including user experience and our services for game developers." It sounds like Ouya is receiving a lot of support from the industry, but I'm sure backers would like to hear some more specifics, like which developers have shown interest and when the console might be available. In the meantime, gamers can continue to predict whether Ouya will be a massive, industry-changing success or colossal, embarrassing failure.